Episodic memory is a category of long-term memory that involves the recollection of specific events, situations, and experiences. Your memories of your first day of school, your first kiss, attending a friend's birthday party and your brother's graduation are all examples of episodic memories. In addition to your overall recall of the event itself, it also involves your memory of the location and time that the event occurred. Closely related to this is what researchers refer to as an autobiographical memory or your memories of your own personal life history. As you can imagine, episodic and autobiographical memories play an important role in your self-identity. Imagine that you get a phone call from an old college friend. You get together for dinner one day and spend the evening reminiscing about numerous amusing moments from your days at university. Your memories of all those specific events and experiences are examples of episodic memory. These episodic memories are important because they allow you to recall personal experiences that are an important part of your life. These memories provide you with a sense of personal history as well as a shared history with other individuals in your life. Episodic memory together with semantic memory is part of the division of memory known as explicit or declarative memory. Semantic memory if focused on general knowledge about the world and includes facts, concepts, and ideas. Episodic memory, on the other hand, involves the recollection of particular life experiences. The term episodic memory was first introduced by Endel Tulving in 1972 to distinguish between knowing factual information (semantic memory) and remembering events from the past (episodic memory). There are a number of different types of episodic memories that people may have. Episodic memories of specific events. 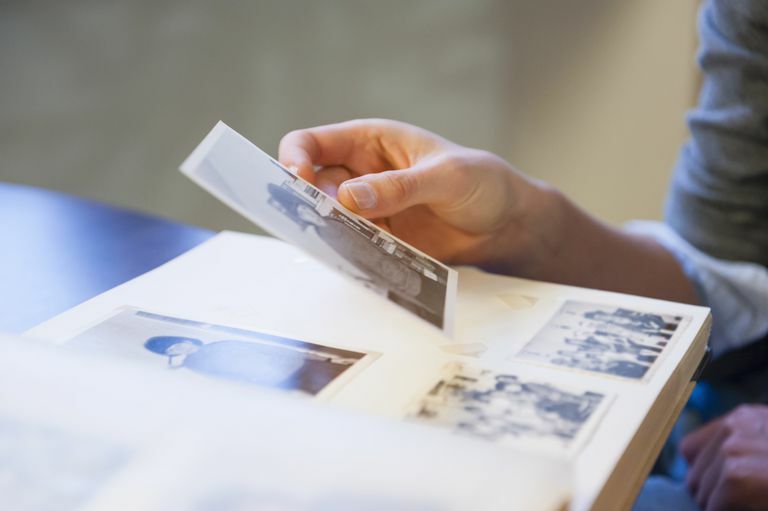 These involve memories of particular moments from an individual's personal history. Remembering your first kiss is an example of a specific episodic memory. Episodic memories of personal facts. Knowing who was President the year that you got married, the make and model of your first car and the name of your first boss are all examples of personal fact episodic memories. Episodic memories of general events. Remembering what a kiss feels like is an example of this general type of memory. You do not remember each and every kiss you've ever shared, but you can recall what it feels like based on your personal experiences. Finally, flashbulb memories are vivid and detailed "snapshots" related to finding out the particularly important news. Sometimes these moments might be highly personal, like the moment you found out that your grandmother had died. In other cases, these memories might be shared by many individuals in a social group. The moments that you found out about the 9/11 attacks or the Paris concert theater attacks are examples of shared flashbulb memories. Researchers have found that episodic memory can also be interdependent with semantic memory. On learning tasks, participants performed better when new information was aligned with prior knowledge, suggesting that semantic knowledge of a task provides a sort of framework for new episodic learning. Participants were asked to remember prices of grocery items. Those in the control group were better able to remember these prices when the new information was congruent with their existing episodic memories of grocery prices. Amnesiac participants in the experimental group, however, performed much worse at remembering new information because they did not have access to episodic information from their past. Conversely, researchers have also found that episodic memories also play a role in the retrieval of semantic memories. In experiments where participants were asked to generate lists of items in particular categories, those who were able to rely on episodic memories performed better than amnesiac participants who did not have access to episodic memories. Greenberg, D.L., Keane, M.M., Verfaellie, M. (2009). Impaired category fluency in medial temporal lobe amnesia: The role of episodic memory. Journal of Neuroscience, 29(35), 10900-10908. doi: 10.1523/JNEUROSCI.1202-09.2009. Kan, I.P, Alexander, M.P., & Verfaillie, M. (2009). Contribution of prior semantic knowledge to new episodic learning in amnesia. Journal of Cognitive Neuroscience, 21, 938-944. Tulving, E. (1972). Episodic and semantic memory. In E. Tulving and W. Donaldson (Eds. ), Organization of Memory (pp. 381–402). New York: Academic Press.